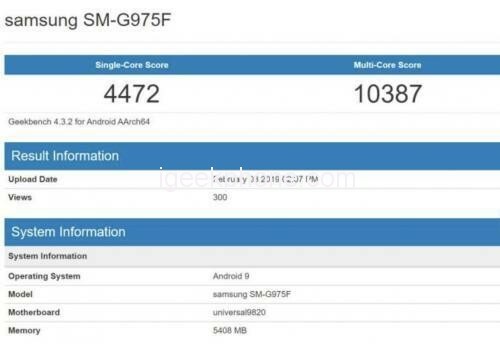 Recently, a mobile phone model of the Samsung SM-G975F in the Geekbench database was exposed. 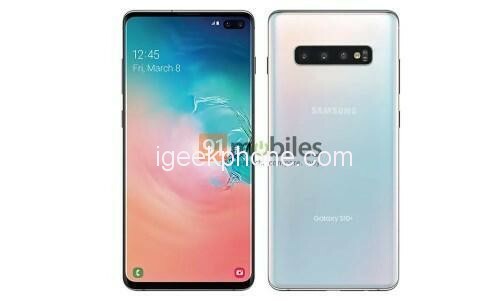 From the model of this Phone, the new Phone is the Samsung Galaxy S10+ with the Exynos 9820 processor in the Samsung S10 series. The Samsung Galaxy S10+ will have two versions of the Exynos 9820 processor and the Qualcomm Snapdragon 855 processor. The one that was exposed at Geekbench this time is the former. From the point of running scores, the single-core running of the aircraft is particularly eye-catching, and scored 4,472 points, while Apple’s equipment with A12 bionic processor has a single-core score of 4801. Samsung’s processor is single. The nuclear score is very close to A12. The single-core scores of Huawei’s Kirin 980 and Qualcomm Snapdragon 855 are only around 3,400 points. In addition, the aircraft’s multi-core score was 10,387 points. From the point of view of single-core results, Samsung’s Galaxy S10+ mobile phone should be the single-core running new phone closest to Apple’s A12 processor. Samsung has confirmed that it will officially release the new flagship Galaxy S10 series in 2019 on February 21st, Beijing time. The Samsung Galaxy S10 will feature Infinity O full-screen technology with a smaller screen opening than the Galaxy A8s. The opportunity is available in four color versions of white, black, yellow and green, and of course some gradient colors. The Galaxy S10 will also have a Plus version, and the Galaxy S10 and S1+ will feature 5.8-inch and 6.44-inch displays with dual and triple shots. In addition, the S10 will be equipped with a special version of the 6.7-inch display, which will be equipped with six cameras (front 2 and rear 4) and support 5G. The Samsung Galaxy S10 will be available in three different sizes. On February 21st, we look forward to the official release of the series.